For most of the year, Rachel mixes a bit of cycling into her work commute each day. However, in frigid temperatures like we’ve had these past few days, she ditches the two wheels and turns to the warmth of Metro transit. “Metro allows me to get through St. Louis winters,” she said. Her transit commute starts at the Central West End MetroLink Station. From there, she catches a Blue Line train to the University City-Big Bend MetroLink Station. Rachel also uses the #1 Gold Line MetroBus route and the #18 Taylor MetroBus route to get to work at the Danforth Campus of Washington University. 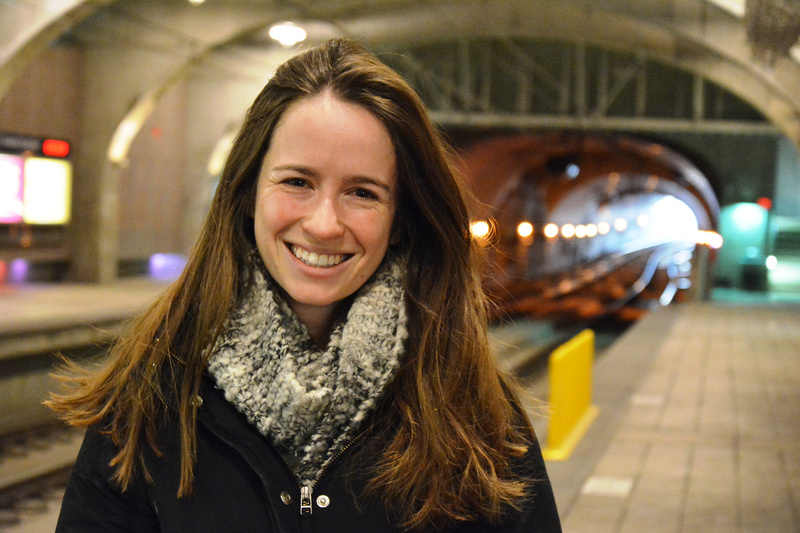 Rachel is a doctoral student at Washington University, so she’s able to take advantage of the U-Pass program, which allows Washington University students, staff and faculty to ride Metro transit free of charge. It’s a transit benefit that allows Rachel to get around town for more than just work. Rachel has relied on Metro for about seven years and knew she wanted to continue her no-car lifestyle beyond her undergraduate studies. When she moved a few miles away from campus to The Grove, she wanted transit to be close by. “Metro makes St. Louis accessible to me in a way that it wouldn’t be without a car, especially in a four-season city like St Louis,” she said.